Stroud Saftey fire suits are anything but standard. These high quality suits are SFI approved and are manufactured with attention to detail. Stroud's suits are sewn with nomex thread for increased protection and reinforced with nylon thread for strength and durability. All cuffs are also nomex, for added protection. 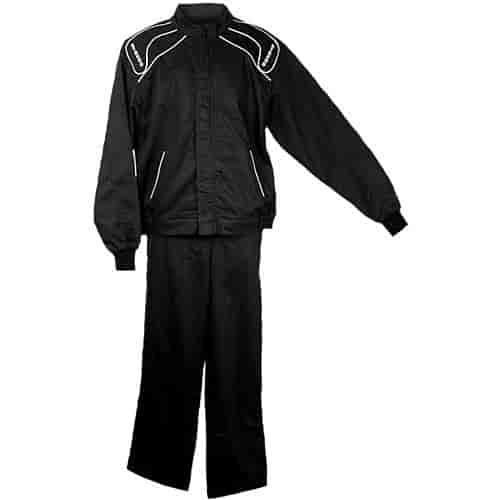 These Suits are offered in black, red or blue with white arm and leg stripes. Simpson MLPR16 - Molecule Protector Spray Bottle 16oz. JEGS 1010 - JEGS Gear Bag 30" x 15" x 14"
Simpson MLSP16 - Molecule Spot Cleaner Spray Bottle 16oz. Simpson MLWA16 - Molecule Wash Bottle 16oz.